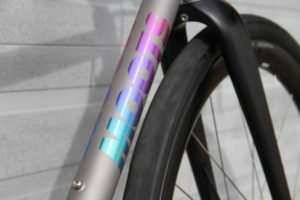 In February we showed 6 bikes at NAHBS (the North American Handmade Bicycle Show). 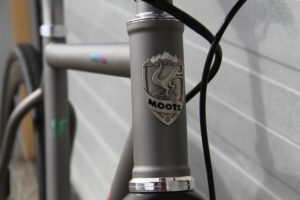 One of those bikes was a new build for Nate Bradley here at Moots. Nate leads our production crew and also drives our product development/R & D team.  Nate gets around on a bike, riding whenever possible no matter the weather or location he might be in. 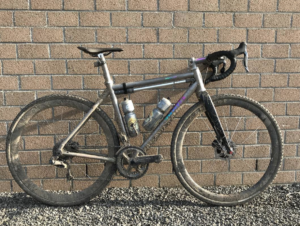 We’ve posted the glamour shots of Nate’s bike in the product pages of our site (you can view here), but feel a closer look is due. 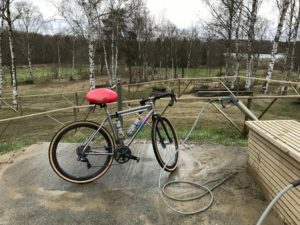 Nate and his new bike are just back from Belgium & France where he has been riding this very bike through Flanders, sectors of Roubaix and last Saturday rode in The Malteni Bootleggers gravel event. 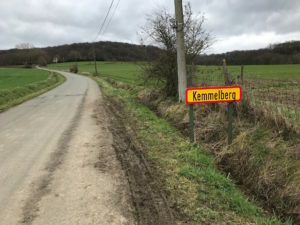 The event by itself was one to remember…”only” 245km and 6000+ feet of climbing. 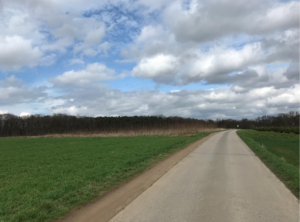 The route is the perfect example of why the ROUTT RSL is the perfect choice for this multi-surfaced race and a majority of the rides we all take on a weekly basis no matter where we live. 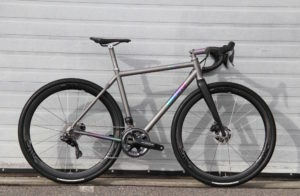 The makeup of the Bootlegger is: 70% off-road, 20% road, 10% cobbles. They make a point to call out that this is an “ULTRA CX EVENT”….of course they restated this AFTER the race. 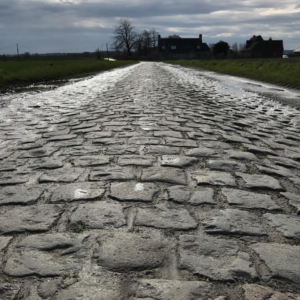 The course (see map) takes on parts of Flanders, then the rolling hills of southern Belgium and to finish it off, some of the roughest parts of Roubaix cobbles. The tractor-beam is the finish at the Malteni Brewery. 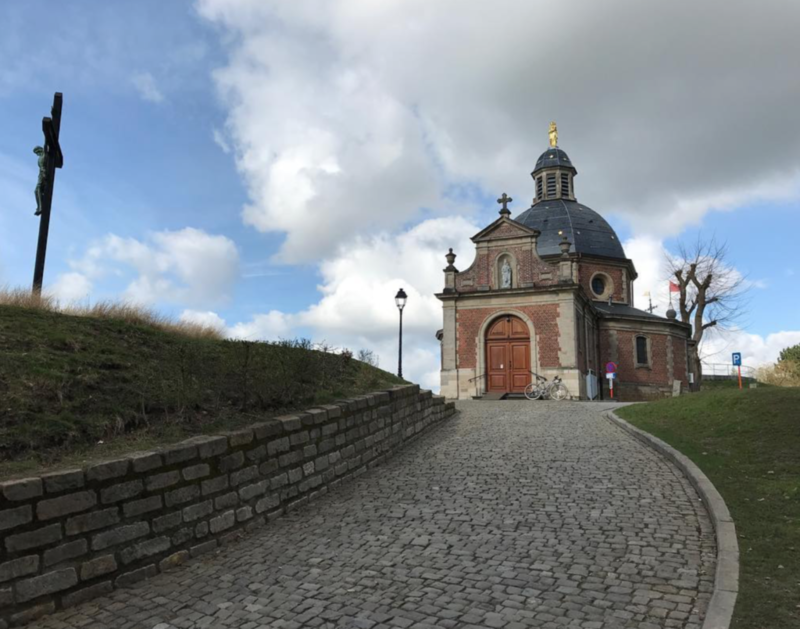 All of this after a solid week logging 1000+ km’s of “just riding around” Belgium. FRAME: Routt RSL size 54cm, butted tube set as is all of our RSL line. 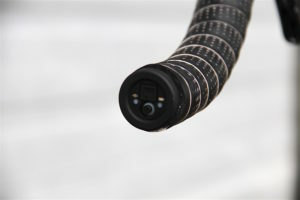 Butted tubing saves weight in the center of the tube, keeps the ends a little thicker for strength in the heat affected zone for welding. 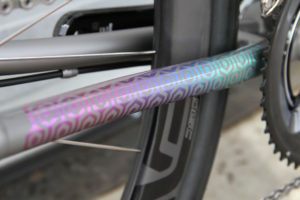 The Stanley fade on the down tube. 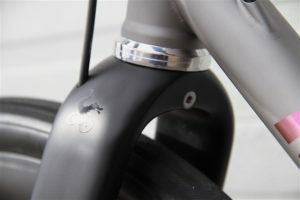 Also note the hidden fender eyelet in the back of the crown. Nate went with a White Industries head set in silver. 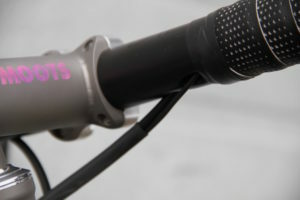 Fender mount in the monostay is standard on the Routt RSL. 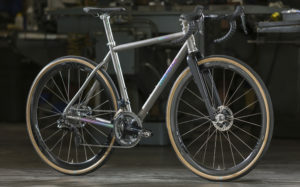 FORK: Moots Carbon Gravel/CX fork. 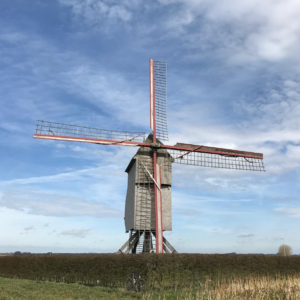 1.5 to 1.125 tapered full carbon, 395mm axle-crown, 47mm rake, 100 x 12mm thru-axle, flat mount. Clearance for up to a 45 x 700c, with massive room to spare. 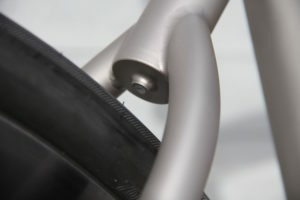 Lower fender mount in focus. 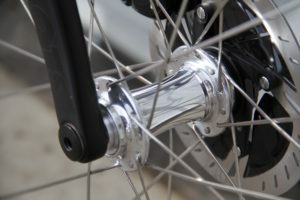 Fork comes with thread-in fender hardware. 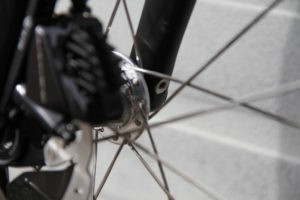 Nate went with White Industries hubs and head set in the polished silver. 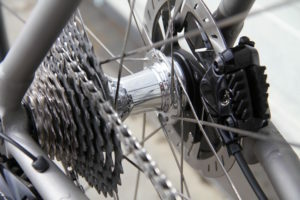 Note: DT Swiss axle with removable 6mm hex handle. 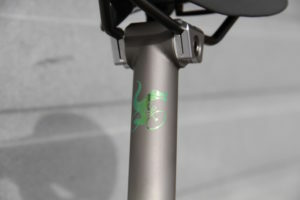 Bar end Di2 charge port makes for a super clean look. 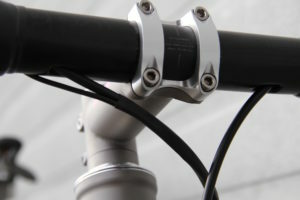 Shimano PRO bar with internally routed brake lines and Di2 wires. Shrink wrap keeps it tidy. 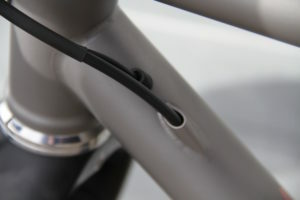 Internally routed rear brake line is an option, the Di2 wire enters just in front of it. Nate runs our Cinch Post in a straight 30.9. Mr. Moots is anodized to match the progression of the Stanley fade throughout the frame. 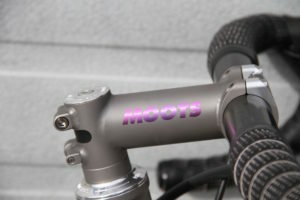 The Moots RSL (race super light) stem. Also anodized to match the Stanley fade. 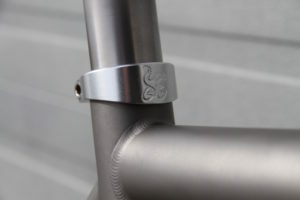 Silver collar to match; hubs, headset, bottom bracket and seatpost/stem parts. 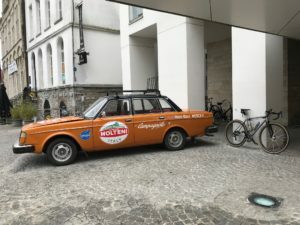 It’s not carpet, but the pattern matches what was used in the hotel during the movie. Post-Holy Week destruction. Show piece that is meant to be ridden hard. 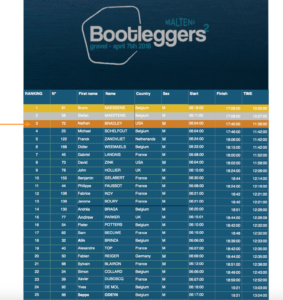 170 starters, 91 finishers, our man Nate: 3rd!